The Canadian National Pagan Conference (CNPC), Gaia Gathering, is held every 2 years over the long Victoria Day weekend in May. Each time, the event is hosted by a different city, which is determined through a bid and vote process. Gaia Gathering is a place where people from across Canada and from across the spectrum of this country’s Pagan religions an come together to talk about who we are, where we’ve come from, and where we might be going as a religious community in Canada. It is with a heavy heart that the Gaia Gathering board announces there will be no conference in 2019 due to lack of bids. We hope some great city comes forth for 2020. Look for updates in the coming months. Past host cities include Calgary, Edmonton, Halifax, Winnipeg, Ottawa, Vancouver, Montreal, Toronto, and Gatineau. The conference features three days of discussion and workshops about Canadian contemporary Paganisms – our Asatru, our Druidry, our Wicca and so on — and brings together Canadian elders, community leaders, and interested Pagans or Pagan-curious for networking, discussion, and community. Legally, we are incorporated federally as a non-profit organization and operate with a national Board of Directors as well as a local host committee. A great opportunity for Canadian Pagans, Pagan-friendly and Pagan-curious to get to know each other, network, and share information, and learn peer-to-peer from the wide experience available in Canada. The possibility of meeting Pagans from paths and traditions that you may not normally be exposed to in your home community or geographic area. A chance for us to gather together to discuss issues affecting our identities as Canadian Pagans. An opportunity to learn from our collective experiences with regards to legal, social, political, religious and business issues as Pagans in Canada. A venue to get to know communities in Canada separated geographically, to discuss community development, and expand the ideas of pagan community in theory and practice. The opportunity for academics working in Pagan Studies or related disciplines to share their latest research and connect with other scholars in Canada. The opportunity for community leaders in from Pagan communities across Canada to network with each other and share experiences. What typically happens at Gaia Gathering? Activities generally kick-off late Friday afternoon with the opening of registration followed by an opening ritual, planned activities and a meet and greet. Sometimes, the host community may plan pre-conference activities earlier in the day or on the evening before, so check the schedule or contact the local organisers. Saturday and Sunday are totally devoted to panel discussions, round-tables and workshops. Typically there are three streams of activities happening at once and close to 30 activities to choose from. Some of the panels and round-tables will be theoretical in nature, whereas others are more hands-on and workshop-like. We also typically have a music stream or song-sharing circle, and tradition meet-and-greets. As well, an academic stream on one of the two days allows Pagan scholars (academically-affiliated or not) to present their research. Entertainment is arranged in the evenings. There is usually some sort of outing or social activity planned for the Saturday night. A closing banquet is held on the Sunday evening, complete with entertainment. The main focus of Monday is our annual general meeting (AGM), which includes recapping the conference, choosing the conference venue for two years hence, and electing new officers onto the board of directors. Some local host committees may also plan workshops and other activities on this day. Check the schedule or contact the local organisers. In addition to all the formal activities at the conferences, the highlight for many participants are the discussions and socialising that goes on in the hallways, in the common areas of the dorms, over lunch, and in between sessions. Friendships are forged and ideas are shared. We have a bidding process year to year, for communities to bid on hosting the National Conference. A group from the Community commits to plan two years ahead of hosting the conference. The usual location has a university, transit service, and airport access to allow participants to come from across the country. Please look under Bid Process for more details. Past host cities include Edmonton, Halifax, Winnipeg, Ottawa and Montreal. Because Gaia Gathering is held in a university or hotel, it is a bit different than a festival. There is no fire to drum around and there is less dress-up. That doesn’t mean that these things don’t happen (they will at our evening vents! ), the event is just lower key and the focus is more on each other, our experiences, and our shared Canadian history. We hold it in a university or hotel so there are beds to sleep in (no soggy tents! ), and we focus on panel discussions and exchange rather than workshops. We hold practical discussions around organization, thought-provoking panels on the future of the Pagan religions of Canada, and round tables on various pagan paths. Workshops, when offered are generally at a level to of specialised knowledge that may not be available to communities otherwise. Historically we’ve also had art streams, music streams, song circles, activist streams and evening social events. 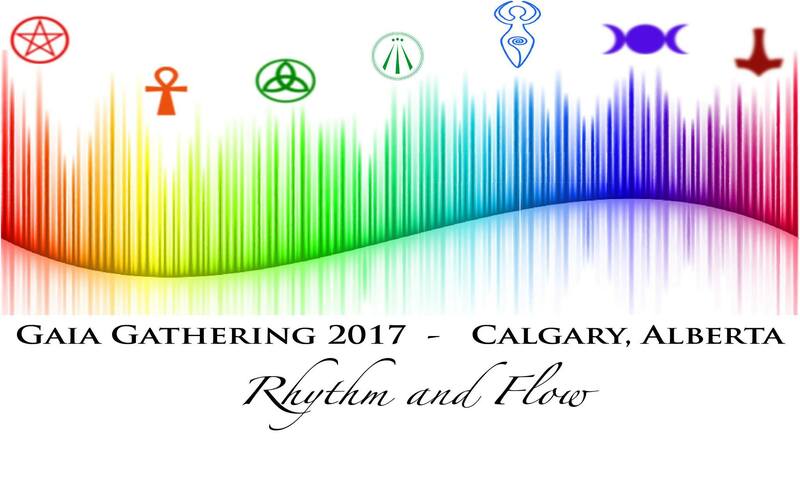 Gaia Gathering is a place to exchange ideas, experiences, and share our Canadian Pagan identities. Who are the Members of the Gaia Gathering Society? You are, or at least, you can be. Year to year membership is part of your full registration with the conference. This allows you to participate in the Annual General Meeting, held the Monday of the Victoria Day weekend. At this time, Board of Director elections are held, budgets are considered, and the host city is picked from the bids submitted. We also consider what kinds of things we should do about issues that arise from the Conference itself.